I'm starting to think we might not be allowing enough space and respect for the full spectrum of emotions and putting excessive emphasis on happiness. I agree that happiness does usually ‘feel’ better than sadness, but when so much emphasis surrounds happiness it makes us feel like something is wrong with us for having and feeling other emotions. We also cannot experience happiness without knowing a little sadness. It seems like I see it everywhere: ‘How to be happy’. ‘You should feel happy’. ‘Just be happy.’ It turns out I am not happy all the time, and the more I learn, the more I feel like that is acceptable. 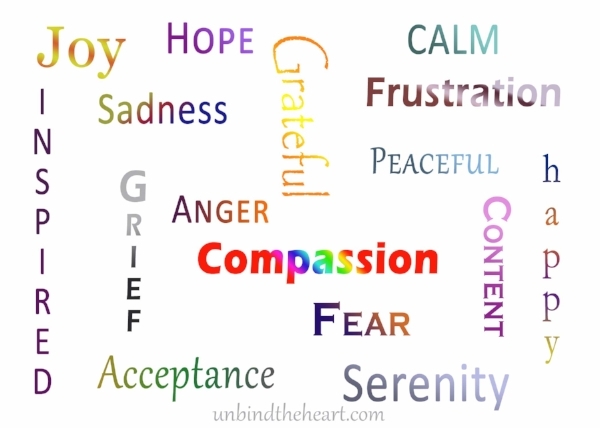 There are a lot of emotions available, and acknowledging and being willing to feel the full spectrum of emotions is important on the journey to mental wellness. We tend to perceive the drive for happiness as: "if it is something you are not feeling or striving for all of the time then you are living incorrectly." Happiness is an amazing emotion and I do strive to feel and experience it, but striving to feel one emotion all the time is unrealistic, unsustainable and will likely create less happiness when we push away other emotions in our lives. I am learning the value of feeling many other emotions. Feeling calm, still, present, grateful, content, hopeful, excited, peaceful, satisfied, passionate, and surrender are only a portion of the emotions I am starting to accept and appreciate. There are also times when sadness, grief, frustration, and displeasure are useful emotions, especially when I am in the process of growth and transformation. It is okay and appropriate to feel the full spectrum of emotions. They all can have a relevant purpose. The right pairing of emotions can also be useful. Anxiety + Excitement = Motivation, and many of the perceived negative emotions can be useful in many contexts. Our lives and emotions are so much more complex than happy vs sad, and there is so much more to be experienced than emphasizing one single and sustained emotion. When I find myself striving only for happiness, I forget to feel and accept the emotions that are not happiness, and when I do not feel these emotions and let them flow, they become trapped and create less space for happiness. Instead of trying to focus only on one emotion, maybe we should strive for really feeling and accepting all of our emotions letting them move through us, which in turn should create more happiness in our lives. What do you think? What emotions do you appreciate? Thank you! Wishing you the best day!